What looks like an official press image of the Samsung Galaxy Note 9, showing every aspect of the phone, has leaked online. The image, which was posted on Twitter by leakster Evan Blass, who has a solid track record reporting on Samsung-related news and leaks, show the Galaxy Note 9 front and back, with the device seemingly powered on, as well as its brand new, bright yellow S Pen digital stylus resting at a jaunty angle against the side of the phone. Will the Samsung S10 Plus have a bigger screen than the Note 9? The image, as well as tallying perfectly in terms visuals with last week's official poster leak, also shows that, as T3 called, there is no in-screen fingerprint reader on the Note 9, with it clearly being held for 2019's Galaxy S10 instead. The design is, as expected, very similar to the Note 8 and nothing at all like those far-out concept designs that have been doing the rounds. This all-encompassing look at the Note 9 comes mere days after another detailed image leaked showing the entire front of the phone, as well as the revelation that the Note 9 had absolutely smoked the iPhone X in terms of benchmark scores (at least in twin thread activities), too. It also comes after numerous detailed leaked about its brand new S Pen digital stylus, which was described as having a "soul" and has been rumoured to feature Bluetooth technology, which regular readers of T3 will remember we noted could lead to some really useful, advanced functionality. We never dreamed it could have quite such searingly intense yellowness however. Our eyes, they burn! The Samsung Galaxy Note 9 is set to be officially unveiled on August 9. The Galaxy Note 9 is being officially announced at Samsung's UNPACKED event, which it has been confirmed is taking place on August 9. It also looks like people won't have too long to wait after the unveiling to get one in their hands, either, with the hot new handset set to go on sale just two weeks later on August 24. 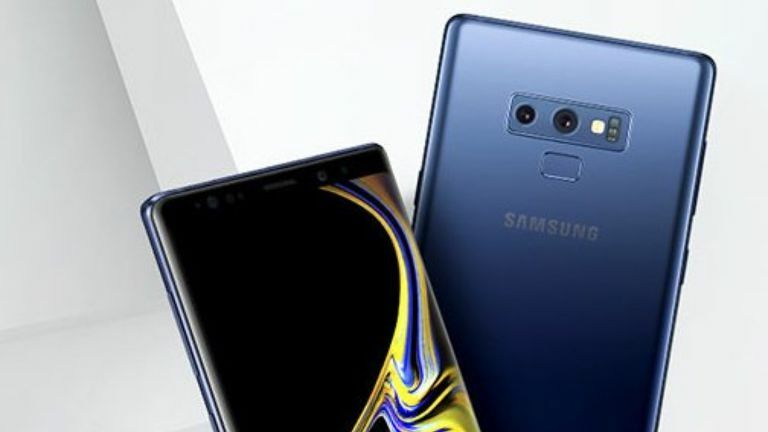 And, judging by Samsung's slated phone release schedule over the next 6 months, it looks like the Note 9 is going to be the first of three massive attacks on the South Korean maker's rivals, with the device followed by the 2019 Galaxy S10 flagship, as well as the exotic and much-wanted Samsung Galaxy X folding phone.